Even on a short trip to Florence, take time to explore its back streets between visits to art-history treasures. So much to see, so little time. To help you plan your sightseeing, I've listed my ideal itineraries for Florence, whether you're going for one day, two days, three days, or more. 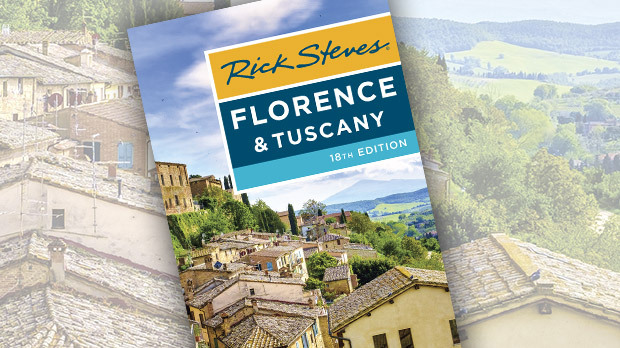 Florence deserves at least one well-organized day: see the Accademia (David), tour the Uffizi Gallery (Renaissance art), visit the underrated Bargello (best statues), and do my Renaissance Walk (outlined in my guidebooks and available for free as an audio tour). Art lovers will want to chisel out another day of their itinerary for the many other Florentine cultural treasures. Shoppers and ice-cream lovers may need to do the same. The plans outlined below assume that you'll use my strategies to avoid wasting hours in line for the big attractions — especially the Uffizi Gallery and Accademia. These sights nearly always have long ticket-buying lines, especially in peak season (April–Oct) and on holiday weekends. Crowds thin out on off-season weekdays. (Note that both of these major sights are closed on Monday.) You have two easy options for skipping lines: Buy a Firenze Card or make reservations. Another place where you're likely to encounter crowds are the Duomo sights. The only way to climb the dome is to make a reservation. You can buy the combo-ticket in advance online and make a dome-climb reservation then. Dome climb time slots can fill up days in advance, so it’s smart to reserve well ahead. Otherwise, you can try to reserve a time in person at a Duomo ticket office (it is covered by the Firenze Card if you do this) or at a ticket machine in the Duomo Museum lobby. Entering the duomo and climbing the Campanile (belltower) is not available by reservation, but you can skip the lines at both with a Firenze Card — or you can try visiting at a time when it's less crowded. 8:30 Accademia (David) — with a reservation. 10:00 Follow my Renaissance Walk through town center. 12:00 Bargello (best statues) or Duomo Museum (great bronze work). 13:30 Grab a quick lunch in or near Mercato Centrale. 14:00 Shopping at San Lorenzo Market (or elsewhere). 16:30 Uffizi Gallery (finest paintings) — with a reservation. 19:30 Cross Ponte Vecchio and take the Oltrarno Walk (best local color) and have dinner across the river at 21:00. 10:00 Museum of San Marco (art by Fra Angelico). 12:00 Explore Mercato Centrale and have lunch. 14:00 Medici Chapels (Michelangelo sculptures). 16:00 Visit Duomo interior and/or the Baptistery. 17:30 Follow my Renaissance Walk through heart of old town. 20:00 Dinner in the old center or tour the Palazzo Vecchio (open many evenings until 23:00). 10:30 Duomo Museum (statues by Donatello and Michelangelo), or the Galileo Science Museum (if art's not your thing). 12:30 Lunch, then wander and shop. 14:00 Take a bike or walking tour. 16:30 Uffizi Gallery (best paintings) — with a reservation. 19:00 Cross Ponte Vecchio for the Oltrarno Walk. 10:00 Museum of San Marco (Fra Angelico). 12:00 Explore San Lorenzo Market area, shop, and have lunch in or near Mercato Centrale. 14:00 Medici Chapels (Michelangelo) and Basilica of San Lorenzo. 16:00 Baptistery, Duomo interior, or climb the dome (reservation required) or Campanile. 17:00 Follow my Renaissance Walk through heart of old town. 19:00 Explore and shop the Piazza della Signoria/Ponte Vecchio area. 20:00 Dinner in the old center. 11:00 Duomo Museum or Galileo Science Museum (if you prefer science to art). 13:00 Lunch, then wander and shop. 15:30 Uffizi Gallery (unforgettable paintings) — with a reservation. 18:00 Cross Ponte Vecchio, take the Oltrarno Walk, and have dinner in Oltrarno. 9:00 Whatever you didn't get to yesterday morning (Duomo Museum or Galileo). 13:00 Lunch and time to shop, relax, or get to any sights you haven't seen yet (you could circle back to the daytime Oltrarno sights — Brancacci Chapel and Pitti Palace — or tour the Church of Santa Maria Novella, near the train station). 16:00 San Miniato Church (Gregorian chants generally at 17:30), Piazzale Michelangelo (city views), walk back into town. Side-trip to Siena (sights open daily; 1. 5 hours away by bus), or consider an overnight stay to enjoy the town at twilight. 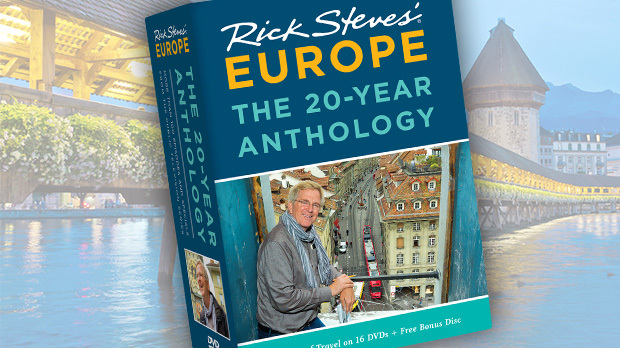 Gene Openshaw is the co-author of the Rick Steves Florence & Tuscany guidebook.